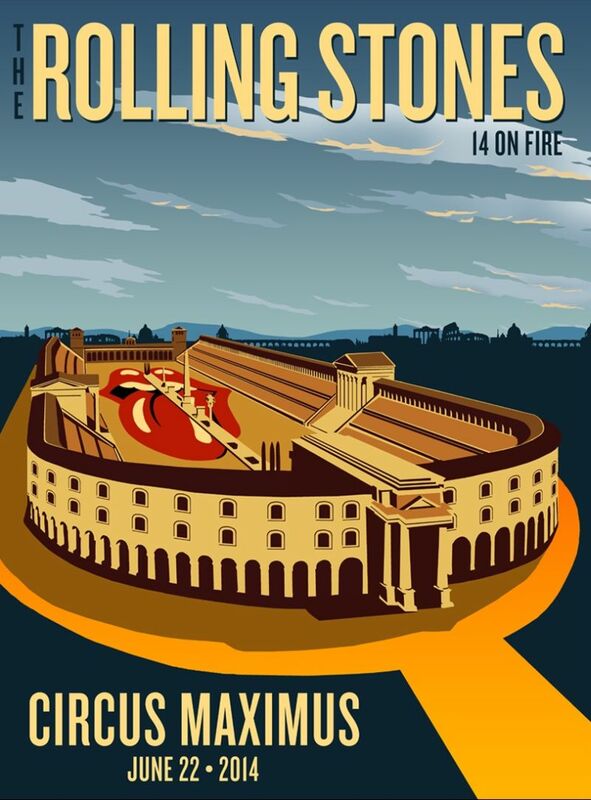 This thread is for live updates and comments regarding The Rolling Stones show at the Circo Massimo, Rome, Italy, 22 June 2014. Please tell us your pre- and post-show thoughts and comments here. Edited 1 time(s). Last edit at 2014-06-22 16:09 by claudine. Love the stuff already coming in from Cristiano and claudine. ps In One week...... Stockholm !!!!!!!!!!!!!!!!!!!!! yeah yeah. Remember the Stones were due to play two TV shows at the Foro Romano in 1969? It would have been the first Mick Taylor' s appearances, even before Hyde Park. Finally, they let the project down, because of the poor state of the Foro. Seems that no one had checked out. Edited 3 time(s). Last edit at 2014-06-22 16:52 by claudine. i see, christiano you've got your internet access back! It looks like a hot,hot day in the beautiful city of Roma. "@ the St Regis hotel in Roma with the ROLLING STONES, we had à chat with Mick Taylor,who was Very nice,we saw Charlie but could not See the others... The band left the hotel tonight probably to rehearse at the Circo Maximo as tomorrow´s show is recorded for à future DVD". Edited 1 time(s). Last edit at 2014-06-22 17:08 by Cristiano Radtke. Certainly looks like a beautiful Stonesy day in Rome!!!!!!!!! Thanks for all the pictures and have a great show today !!!!!!!!!! Sure wish I was there. Looks like a Sunday Roast Berlin Style! Save and keep a few rare songs for Werchter, please, sugar on etc. Thank God I'm not there. What's the story behind the spots on the lawn above GC, did some people manage to stake a spot there without a ticket? It seems it would be hard to block and control the whole length of the area! I once read that (many) Italians tend to believe that Melanoma is not common among people with the "olive" skin color, or something like that... even though it is quite common in Italy. 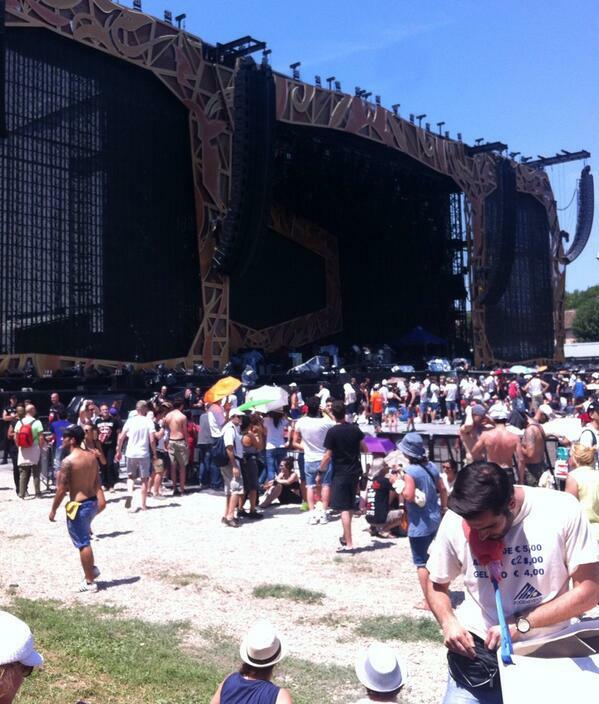 Seems like all Stones 2014 dates were in hot days! Really? But it's going to be so delightfully "aromatic" as the day wears on, what with the heat, the dense crowd, the shirtless sweaty dudes...you're missing out!